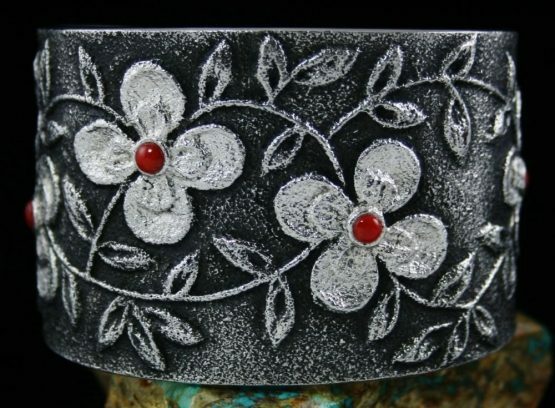 Rebecca is famous worldwide for her signature floral pattern designs. 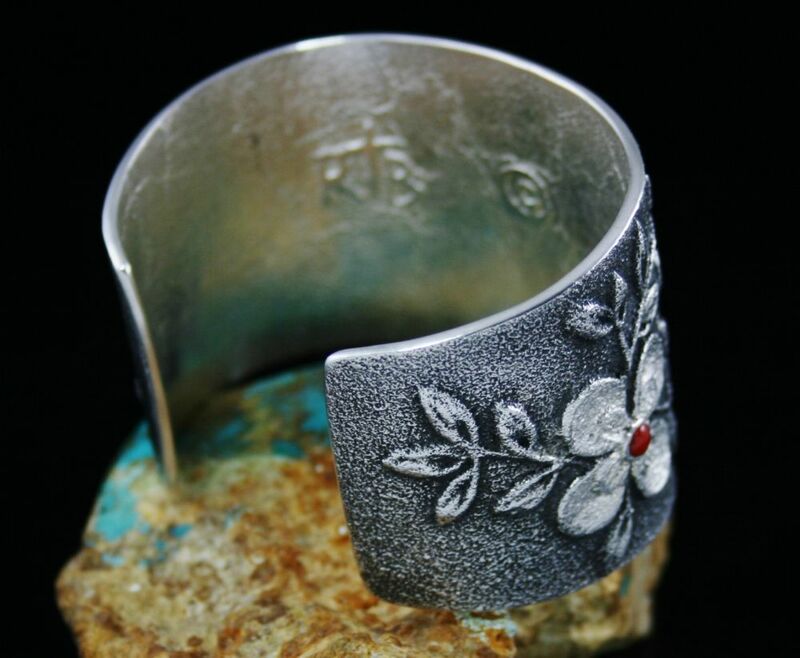 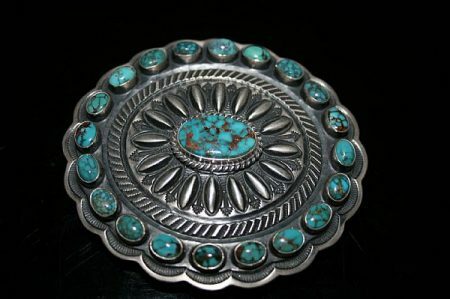 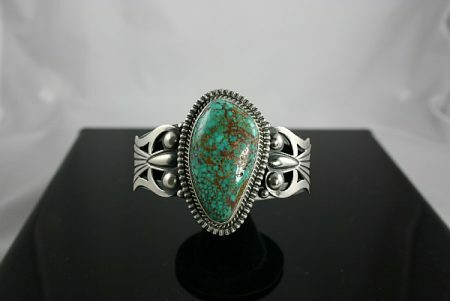 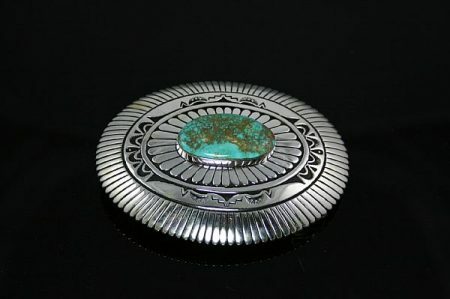 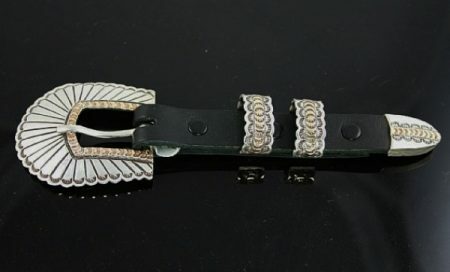 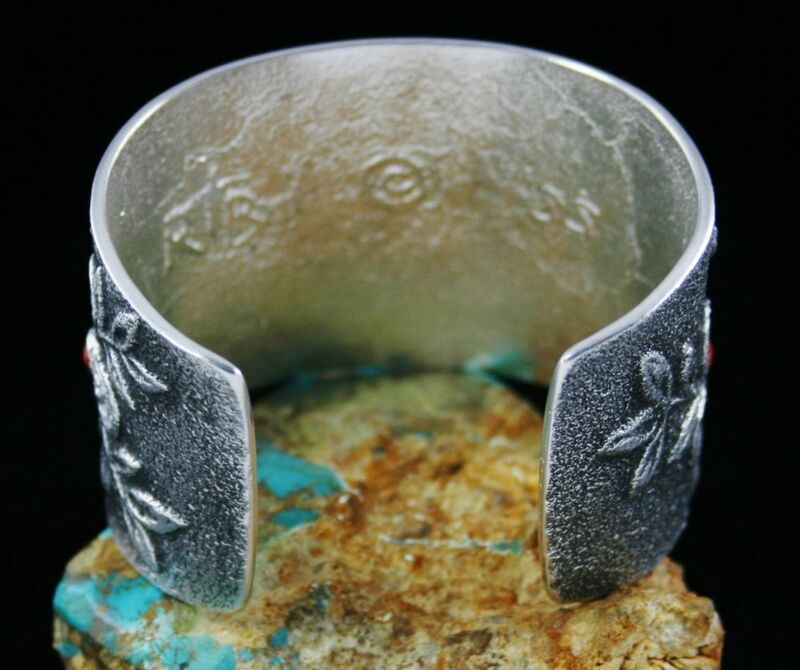 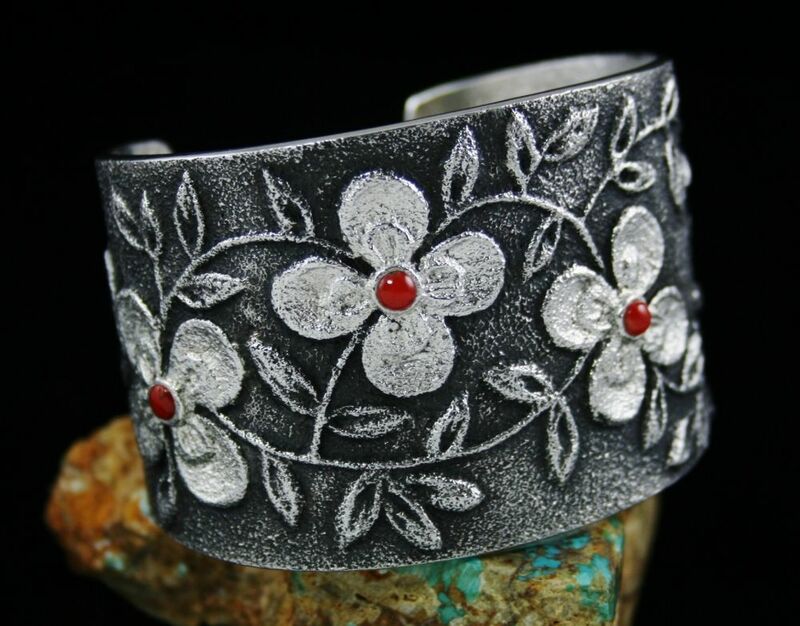 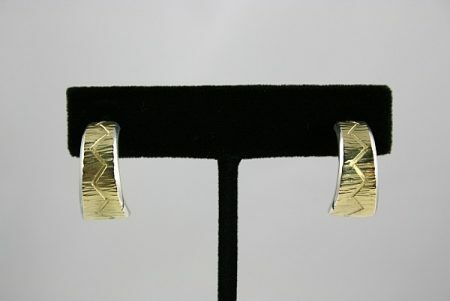 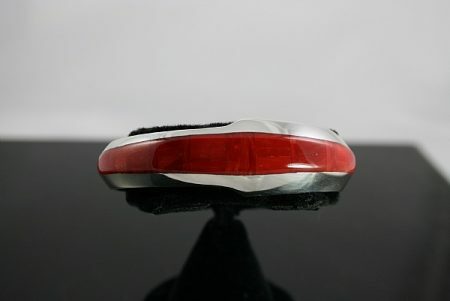 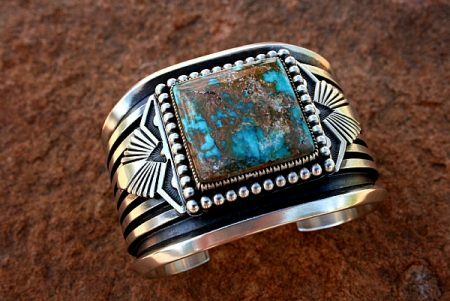 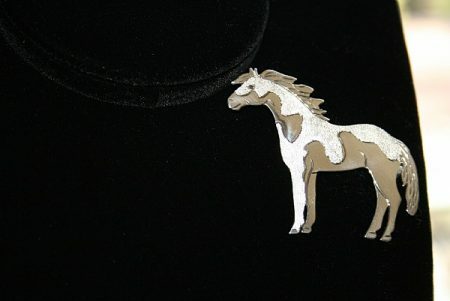 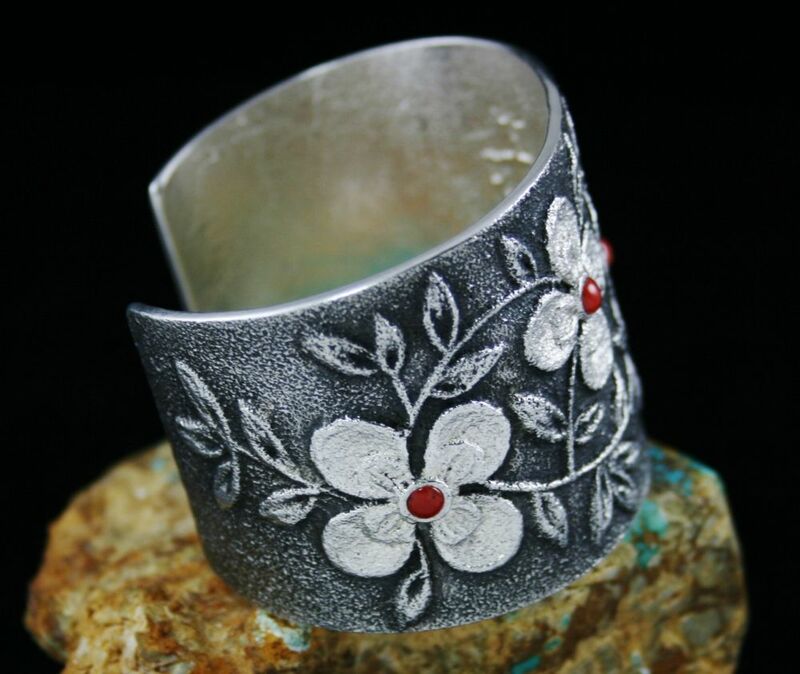 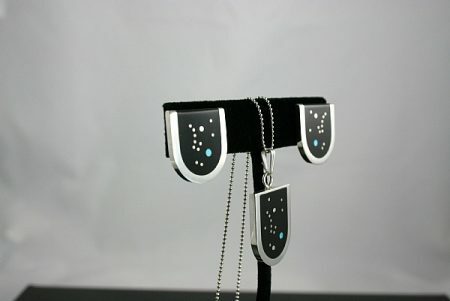 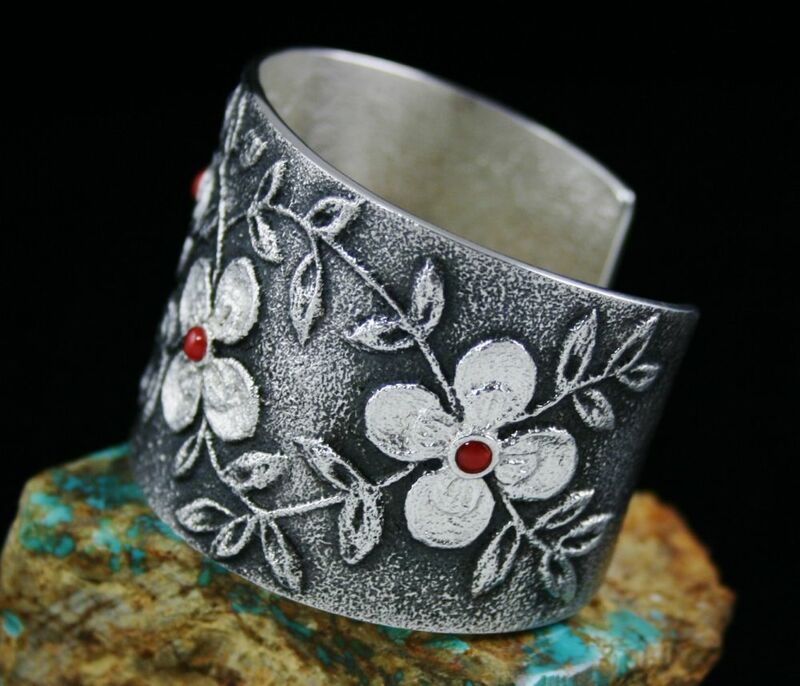 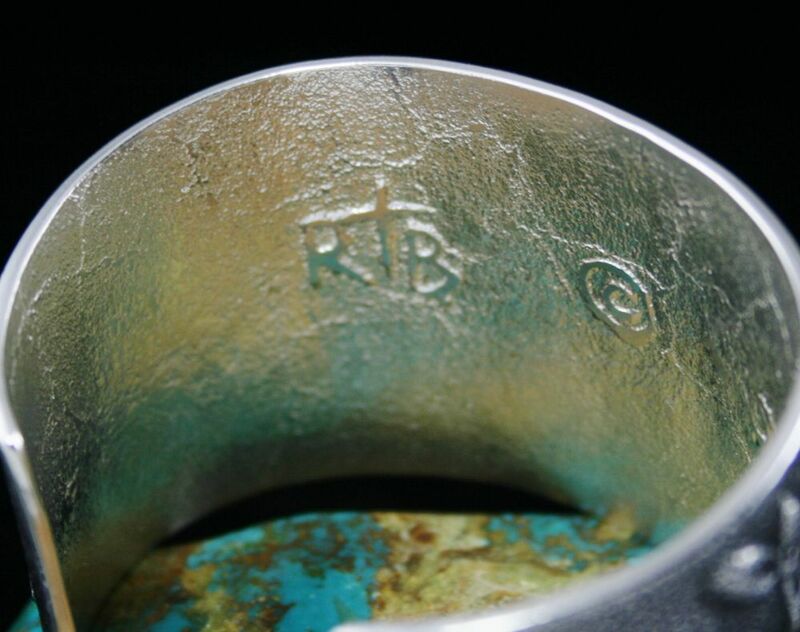 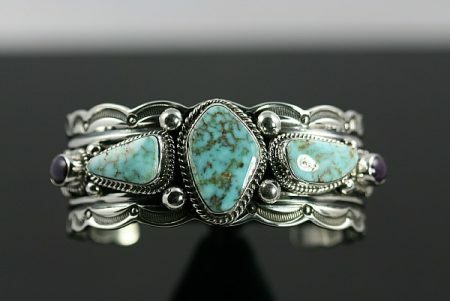 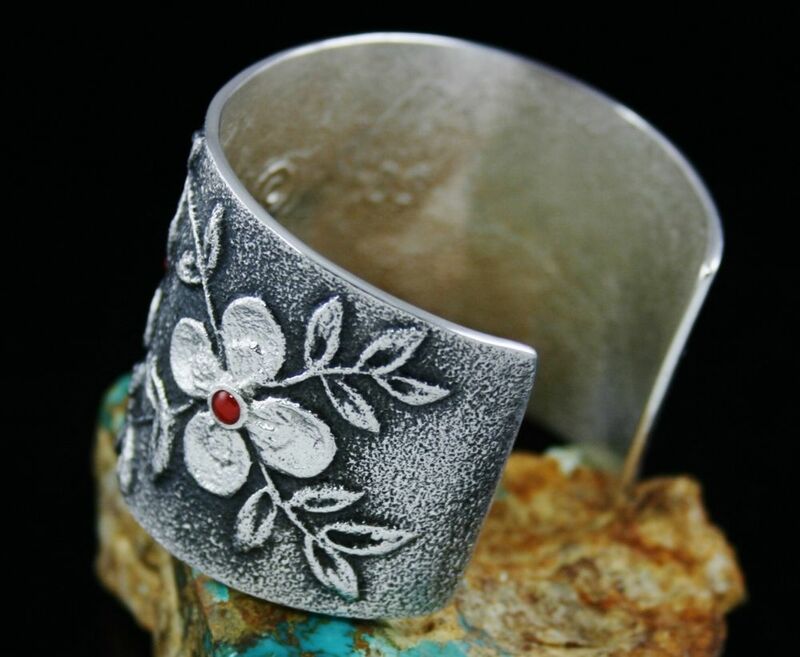 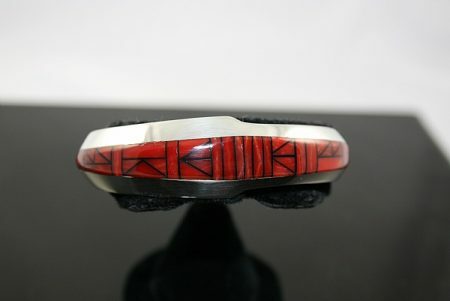 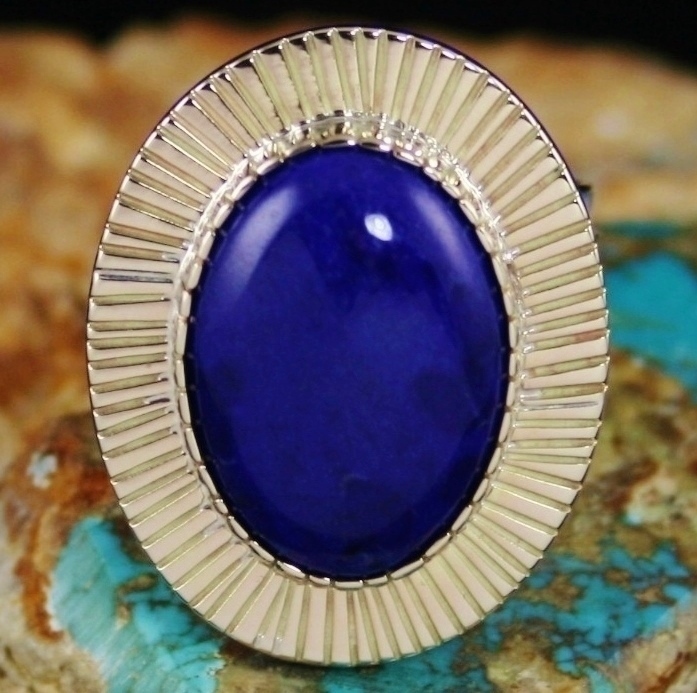 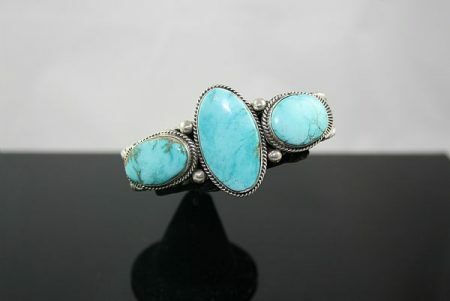 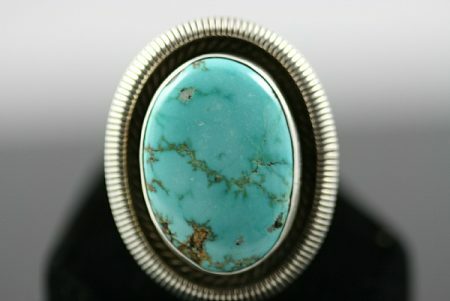 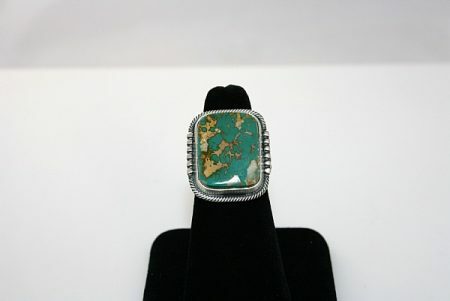 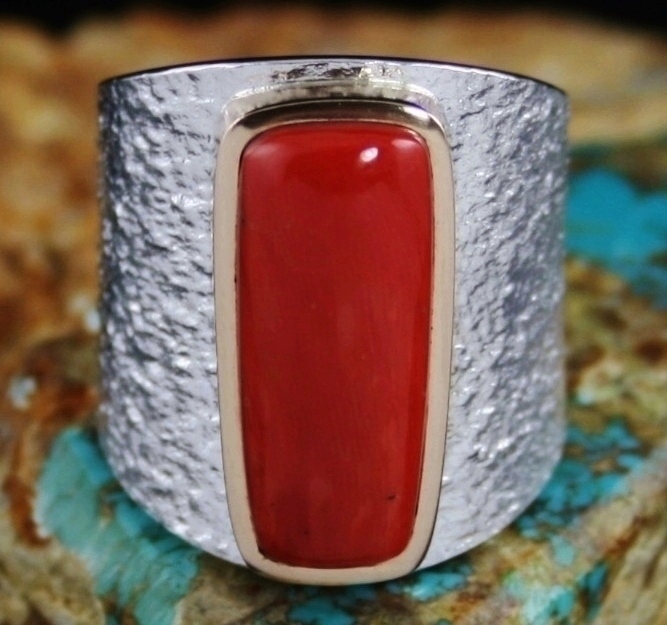 When you see a piece from this talented jeweler you know its a Rebecca Begay creation. 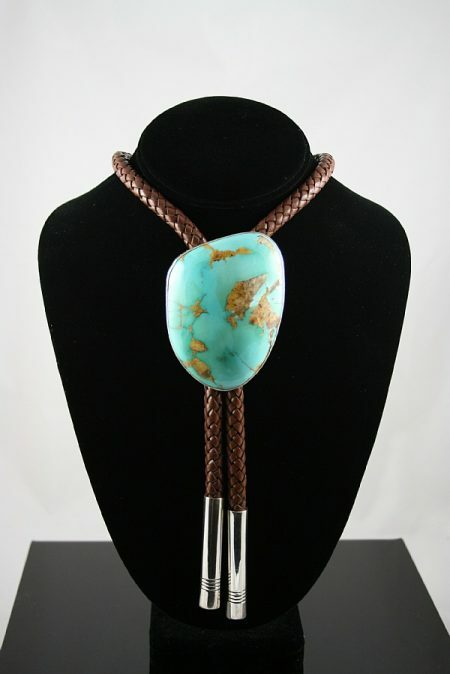 The details are formed through the labor intensive precision hand carving of tufa stone to produce a one of a kind piece. 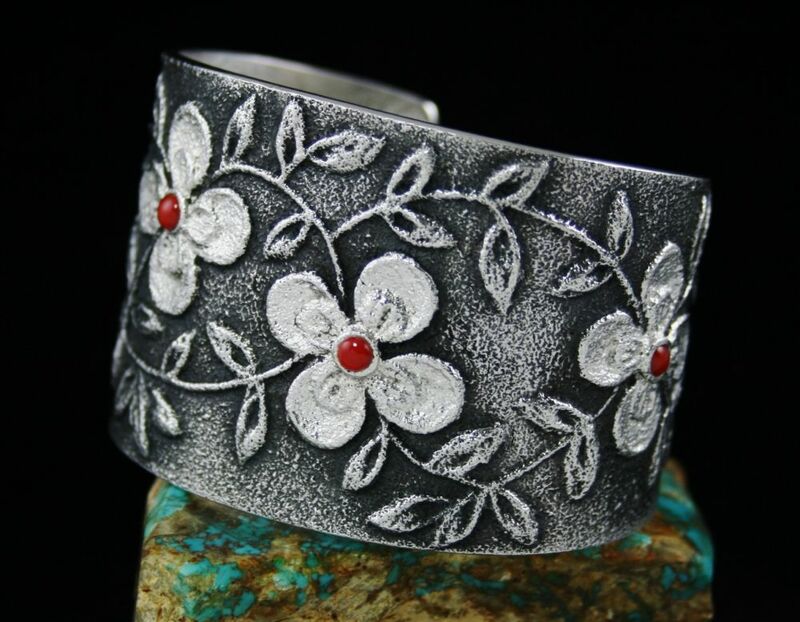 Bright, wide and beautiful, this is Rebecca’s signature bracelet. Each of the large flowers are set with gem grade natural Mediterranean coral in hand made bezels to finish it to perfection.